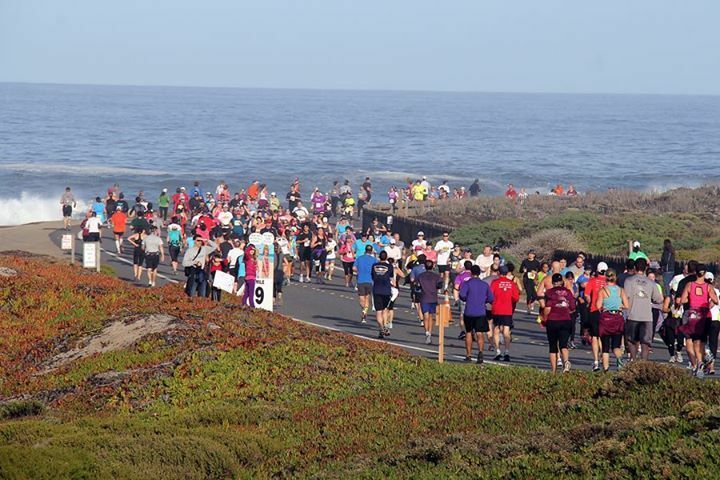 The Big Sur International Marathon is a non-profit organization that serves the community by providing a world class half marathon and related fun events that raise money to benefit local charities, while promoting health and fitness. 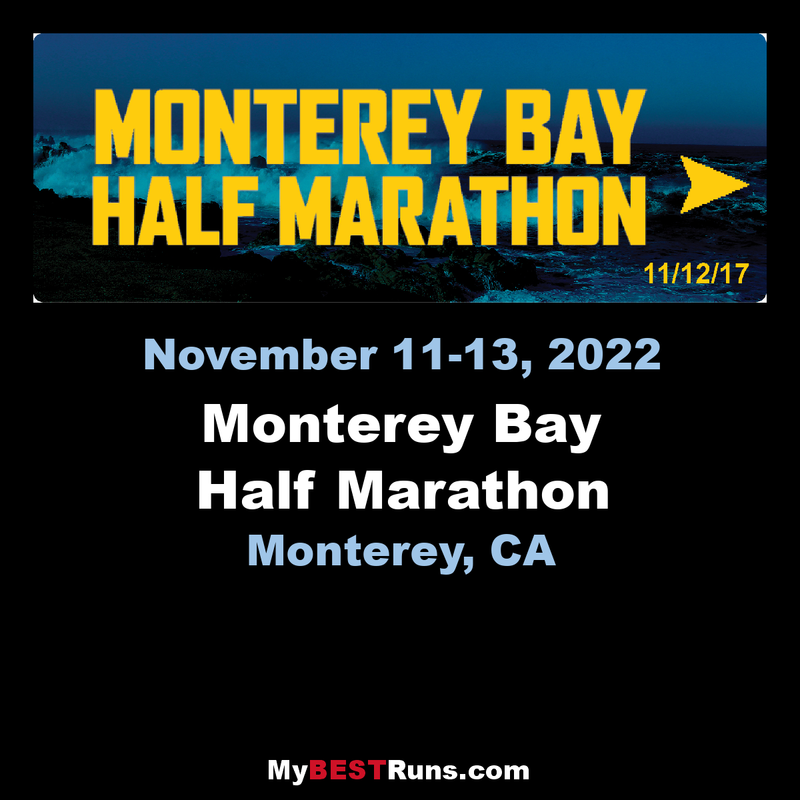 The Monterey Bay Half Marathon on Monterey Bay contributes to the Ronald McDonald House, Breast Cancer Fund and Big Sur Marathon's JUST RUN Youth Fitness Program. The 2018 race was cancelled because of the wild fires in Northern California. 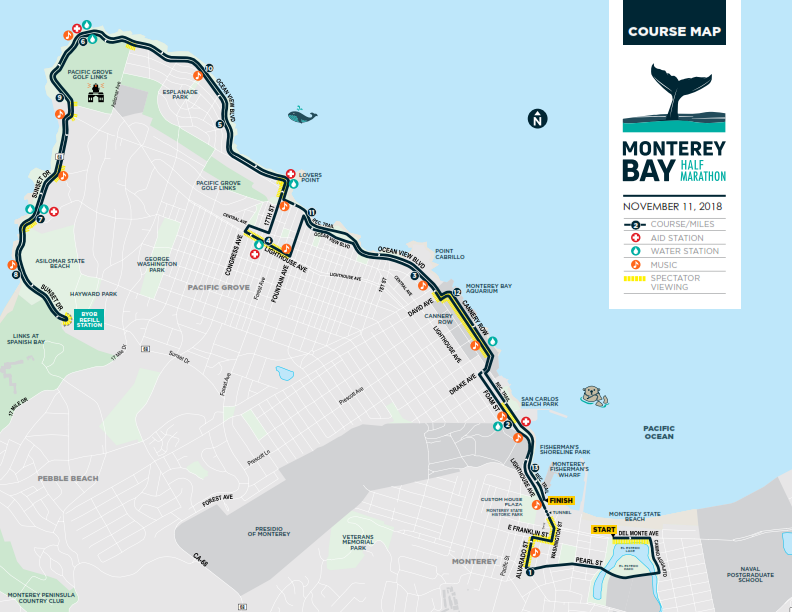 This has got to be one of the most beautiful half-marathon courses in the world. The organization is first class! Thousands of runners from 48 states and 23 countries competed in the 14th Annual Big Sur Half Marathon on Monterey Bay. This year the prize purse was increased to $32,000, making it the fourth largest prize money half marathon in the U.S. To make it a little more interesting, the awards included an "Equalizer" bonus to the top runner to cross the finish line. The elite female runners started first with a 9 minute head start before the male elite runners, creating a battle of the sexes. That prize and first place went to Aaron Braun of Flagstaff, Arizona. He completed the race in 1:03:33. Sarah Pagano from Boston, Massachusetts took first place among women, crossing the finishing line in 1:13:05. It was the first time either of them ran in the Monterey Bay Half Marathon. "I knew there were going to be some hills, so I was working on being strong and just putting in a lot of miles and a lot of hard work," said Pagano about preparing for this race. "The hills were tough, especially on the way back with that coastal breeze in your face," said Braun. "I think both Sarah and I were fortunate enough to be running in a group kind of trading leads with our competitors and working together to make it to the finish line." Local runner and previous Big Sur marathon winner, Daniel Tapia, was part of that group. He was just seconds behind first place. "I'm happy that I was able to have a good race and that I was able to compete all the way to the end, to the finish line but, I was disappointed because there has never been a local who has won the half marathon," said Tapia. "I was hoping this would be the year." Tapia was born in Salinas and raised in Prunedale. Now, he lives in Mammoth where he trains. "I run this bike path all the time when I'm home for the holidays now or every time I come home to visit my family but, I just waited a little too much, I got a little too confident in my ability to catch the leaders," said Tapia. "Maybe next year."